Ed. note: New Times' tried-and-true musicologist, Glen Starkey, is already on his way to Christmas Island, so tried-and-true musicologist Kathy Johnston stepped in to fill this space with notes on upcoming sounds. Enjoy! 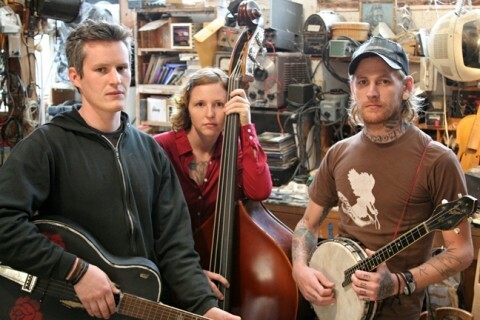 THEY'RE ALL ABOUT RHYTHM : The Devil Makes Three breathes fresh, punkish-flavored air into vintage Americana music. Catch them at Downtown Brew on Dec. 15. # as eclectic as its music, including everyone from Deadheads to old-timey string band aficionados. Now, it's SLO-Town's chance to join the fun! This West Coast trio doesn't need a drummer, with the driving rhythms of Cooper McBean's percussive banjo, Lucia Turino's forceful bass slapping, and Pete Bernard's high-speed guitar. The band's distinctive tight-knit vocal harmonies shine on peppy tunes ranging from bluegrass, old-timey, rockabilly, folk, hot jazz, blues, and ragtime--all infused with a young, punk-rock attitude. 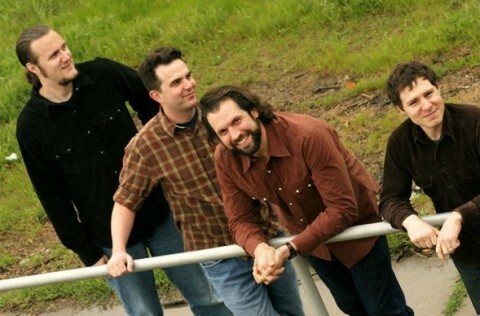 A regular on KPIG radio, The Devil Makes Three cites wide-ranging influences, including Steve Earle, the Reverend Gary Davis, Memphis Jug Band, and Django Reinhardt. 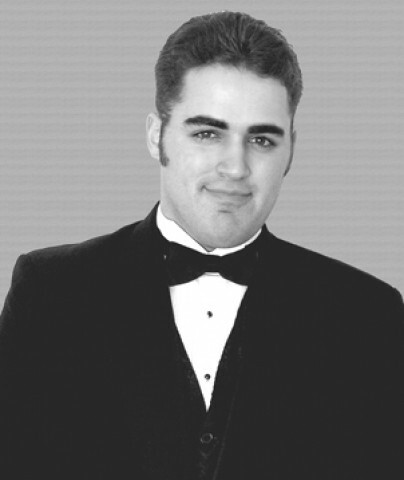 Lead singer Bernhard has a distinctive vocal style that's been described as part Louis Prima and part Merle Haggard. Throw in the harmonies honed over the years--they've been fast friends since their childhood in Vermont--and you've got the complete DM3 sound. 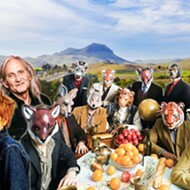 The band has just released a new CD, a re-recorded and repackaged version of their 2005 debut--plus some extra live tracks--on Milan Records, a Warner subsidiary known for its film score work. Their ripping energy never fails to get the audience off their seats and onto the dance floor, so it's a good thing this trio has picked Downtown Brew as the venue to kick off their latest tour. Don't slip in the sweat! The Devil Makes Three presents a 21-and-older show at Downtown Brew (1110 Garden St. in SLO) on Saturday, Dec. 15. Say it loud, with a punk accent: Yeehaw! Well, folks, we've got some bad news and some good news. Let's get the bad over with first: Peter Case has had to cancel his scheduled San Luis Obispo appearance due to family illness. But the ever-resilient show promoter Steve See didn't let that stop him. He booked singing storyteller Darryl Purpose, along with local favorite Julie Beaver on fiddle, for the Hoot Holiday Hoot on Friday, Dec. 14. Purpose's life so far seems like it's straight out of a movie plot. He's been a professional gambler, excelling at blackjack. He walked all the way across the United States on a peace march. He's part of the Second Strings Project, which distributes used guitar strings to needy musicians around the world. And now he's a modern troubadour whose heartfelt songs reveal some compelling stories of people and drama. That hypnotic baritone of his weaves together with his fingerstyle guitar-playing and Beaver's soulful fiddle to create a warm, pleasant sound that promises to ring from the walls at the Steynberg Gallery (1531 Monterey St. in SLO). Tickets for the 8 p.m. show are $15 at the door. You can find out more at www.cambriahoot.com or 546-2857. COMING TOGETHER : Bellydancers of all different styles and tribes gather on Dec. 15 and 16 at the SLO Vets Hall for the Fourth Annual Tribal Fusion Faire, and you're invited, too. # Calling all bellydance fans! Get ready for the Fourth Annual Tribal Fusion Faire! It's two full days this year--Saturday, Dec. 15 and Sunday, Dec. 16, from 10 a.m. to 7 p.m. at the SLO Vets Hall on Grand Avenue in San Luis Obispo. This is your best opportunity of the year to celebrate all tribes with dance, music, food, and shopping for ethnic goods. Live music will be provided by Ras Danny and the Reggae All-Stars, plus Resination. Tickets are $10 in advance, available from Bali Isle or Boo Boo Records in downtown SLO, and $15 at the door. There's also a myriad of workshops (with an extra cost) taught by Kajira Djoumahna, Tempest, Heather Stants, Frederique, Zoe Jakes, Sabrina Fox, Dave Hall, Rachel Soto and Politti, and Jeremiah Soto. You can learn about kicks and spins, drumming, and urban tribal techniques, among other interesting topics. Djoumahna, who hails from Maui, will perform the Moroccan Guedra Blessing Ritual and teach a workshop about it, along with Odissi Classical East Indian Temple Dance. She's devoted her career to spreading the word about American Tribal Style Bellydance, which she enjoys because of its "no borders" sense of creativity, its modern approach to ancient ways, and its capacity to bring dancers together psychically through its unique structured improvisational dancing. She's also the author of The Tribal Bible, and writes a tribal column in an international bellydance magazine. Call 544-7662 for more details. TASTY CAJUN DELIGHTS : The music of the American Southwest, from Louisiana to Arizona, makes up the repertoire of Bayou Seco. The duo performs Dec. 15 at the Red Barn in Los Osos. 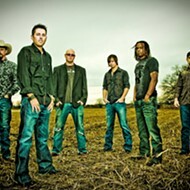 # continues to thrill local audiences with a great line-up, not the least of which is Bayou Seco on Saturday, Dec. 15. 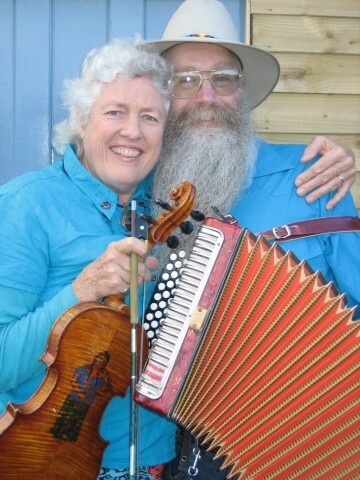 Ken Keppeler and Jeanie McLerie, who form the heart of Bayou Seco, have been researching and playing the music of the Southwest--from Louisiana to the deserts of Arizona--for more than two decades. Drawing from these traditions and from their own ancestors, they dish up an exciting and informative overview of Southwestern music. Based in Silver City, N.M., Bayou Seco has collected music from older traditional American musicians for most of their lives. They've especially focused on Cajun music from southwest Louisiana, as well as learning from traditional Hispanic, cowboy, and Tohono O'Odham musicians in New Mexico and Arizona. Both of them play fiddle and guitar, as well as sing, and Keppeler also plays diatonic accordion, five-string banjo, and harmonica. Bayou Seco has released nine CDs and has been featured on several PBS television shows. As always, the evening starts with a potluck supper and potluck band at 6 p.m., followed by the show at 7 p.m. A donation of $10 is requested at the door of the Red Barn at the South Bay Community Center, on Los Osos Valley Road at the corner of Palisades. For more info, call 528-4530. Local jazz singer Dawn Lambeth of the Usonia Jazz Band has just released her new CD, Let's Get Lost, and the accolades have been rolling in ever since the recording started getting some airplay on KCBX Public Radio. She's got an all-star ensemble behind her gorgeous voice, featuring the Teddy Wilson-inspired piano of Chris Dawson, sophisticated clarinet of Bob Reitmeier, and master guitar work by John Reynolds. John "Butch" Smith joins in with his swinging Kansas City-style saxophone, and Marc and Dave Caparone lend their soaring swing trumpet and trombone. The solid bass and guitar of Clint Baker and fine drum work of Jeff Hamilton round out the sound. Let's Get Lost is a showcase of popular songs of the 1930s and '40s, including several Gershwin and Irving Berlin songs you might recognize from those Fred Astaire and Ginger Rodgers movies, as well as tunes by composers Walter Donaldson, Dorothy Fields and Jimmy McHugh, Cole Porter, Frank Loesser, and several others. "I hope you'll give it a listen, and won't think me too shameless if I say it makes a great holiday gift!" 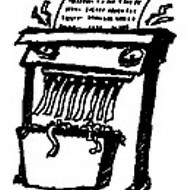 Dawn writes in an e-mail. The CD is available in SLO at Boo Boo Records, Full Circle, and Apropos--all in downtown San Luis Obispo--as well as at the Usonia Jazz Band's performances. You've got several chances to enjoy their shows: Sunday, Dec. 16, at 7 p.m. at Koberl at Blue (998 Monterey St. in SLO) for Supper Club Sundays (continuing Dec. 23, too), or Wednesday, Dec. 19, at 5:30 p.m. in the atrium at Embassy Suites (333 Madonna Road, SLO). 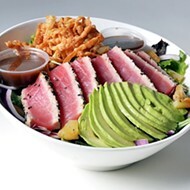 Find out more at www.usoniajazz.com or by calling 610-5418. From slow bebop to sunny pop, the Johnny Starlings create a comforting, familiar sound with a happy-go-lucky feel that's a perfect fit for a Central Coast Sunday afternoon. BRIGHT AND SUNNY : The Johnny Starlings, featuring Jody Mulgrew, present a CD release party on Dec. 16 at the Red Barn in Los Osos to celebrate their new EP, Be My Baby Bright. # Sunday, Dec. 16, for a 3 p.m. show to officially release their new EP recording, Be My Baby Bright. There's no admission charge, though donations will be accepted. Morro Bay native Jody Mulgrew fronts the band with his gentle ukulele, mellow guitar, and dreamy vocals, joined by Yohei Shikano on guitar and vocals. Daniel Seeff's upright bass-playing adds a fat bottom to the mix, along with drummer Jacob Cementina. 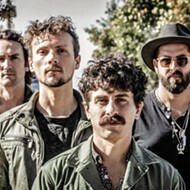 Recorded live on location and at Blue Universe Recording, the new five-song EP includes a live, down-home version of the favorite "Till My Peace Be Made" and two tracks recorded during their performance at this year's Live Oak Music Festival. Sandwiched between the live tracks are two new studio recordings, including the holiday charmer "(I Guess I'll Have to Spend) Christmas Here"--which Mulgrew calls "a sweet little original destined to find its way onto your iPod's Christmas playlist, right between Alvin and the Chipmunks and Run-DMC's "Christmas in Hollis." Some of the Central Coast's finest musicians from the local jazz scene also lend their talents. Ron McCarley blows some tasty saxophone, while Daryl Voss adds some inspired percussion and vibraphone. Vocalist Inga Swearingen reprises her part on a barefoot-dirt-floor-live-recording of "Till My Peace Be Made." For more information or for copies of the new CD, visit www.thejohnnystarlings.com or head on down to Boo Boo's in SLO. 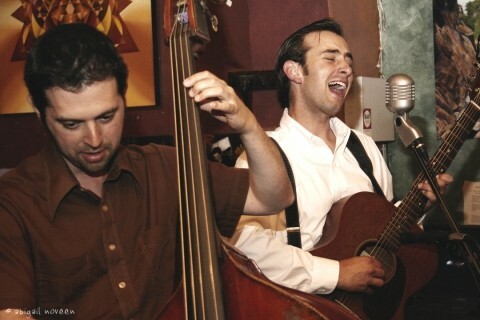 With early jazz and turn-of-the-century influences, the Johnny Starlings shine with let-it-fly spirit! Mixing traditional beauties from the Emerald Isle, holiday chestnuts, and even some religious hymns, the Irish Tenors promise to sparkle like bright ornaments for their Yuletide show at the Performing Arts Center. STARS OF THE EMERALD ISLE : The much-loved Irish Tenors return to the Performing Arts Center in SLO for a nearly-sold-out holiday concert on Dec. 19. # includes music by more than 40 members of the San Luis Obispo Symphony and is an encore event after their sold-out holiday concert last year. The few remaining tickets for the Wednesday, Dec. 19, show are single seats way up in the balcony, with obstructed views but fine sound. Hurry up and order yours! "Irish Tenors Christmas II" features the lyric Anthony Kearns, the romantic Finbar Wright, and the operatic Karl Scully in an evening of traditional Christmas songs and classic Irish hymns and ballads. 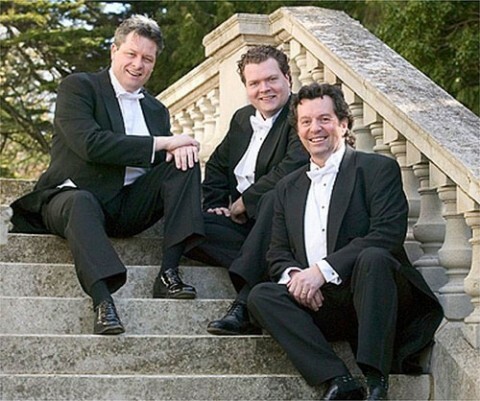 Since they first joined voices in 1998, the Irish Tenors have given countless traditional treasures new life, proving themselves gifted interpreters of a wide range of material. 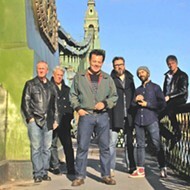 They also enjoy contemporary songs such as "My Heart Will go On," made famous by Celine Dion "Fairytale of New York," previously recorded by Kirsty MacColl and the Pogues and even Jimmy Kennedy's "South of the Border (Down Mexico Way)." Their repertoire, of course, also includes classics such as "Danny Boy," "My Wild Irish Rose," and "Fields of Athenry." Spiritual and inspirational songs are featured on their 2005 release, Sacred, A Spiritual Journey. Amidst (how's that for an Irish word?) a touring career around the world, the trio has also filmed a 10-part television series for Ireland's RTE network, "The Irish Tenors and Friends," where they perform with such stellar talents as Hayley Westernra and Sir Andrew Lloyd Webber. The PAC ticket office can be reached at 756-2787. MARCHING TO A DIFFERENT DRUMMER : An award-winning Sacramento group, the Richard March Band brings its Americana sound to O'Reilly's Bar & Grill in Grover Beach on Dec. 15. # can't get enough of the season's music. The House of Prayer performs a gospel music Christmas concert on Friday, Dec. 14, at the Performing Arts Center in SLO. Info at 756-2787. Next up, it's the Cuesta Master Chorale, which presents a festive concert on Saturday, Dec. 15, at 8 p.m. at the PAC at Cal Poly. Thomas Davies conducts the 90-voice Master Chorale, which will perform Johann Sebastian Bach's Magnificat and John Rutter's Gloria. Tickets are available at the PAC box office, 756-2787. Linnaea's Cafe (1110 Garden St., in SLO) just keeps the music coming, whether it's holiday time or not. The SLO Jazz Federation will jam on Thursday, Dec. 13. Music fans will be treated to the acoustic treasures of Peter Schustack on Friday, Dec. 14, while guitarist extraordinaire Dorian Michael takes the stage on Saturday, Dec. 15. It's Cuesta Jazz on Tuesday, Dec. 18, with an old-time jam planned for Thursday, Dec. 20, starting at 7 p.m. All the other shows begin at 8 p.m. Find out more at www.linnaeas.com or 541-5888. The soaring vocals and warm instrumentals of Bob and Wendy will fill the lounge at the Carlton Hotel in Atascadero (6005 El Camino) on Saturday, Dec. 15. Listen up for Wendy's spiritually based, uplifting tunes. The well-loved husband-and-wife duo are putting the final touches on their latest CD, recorded at the Royal Theatre in Guadalupe. They'll be joined at the Carlton by Tim Novoa. 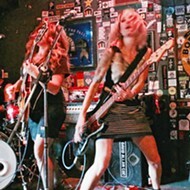 Those energetic Rock Sisters are bringing another fine musical act to the South County. This time, it's Sacramento's award-winning Richard March Band. This promises to be a very special evening of Americana music, on Saturday, Dec. 15, at 9:30 p.m. at O'Reilly's Bar & Grill in Grover Beach. The cover is just $2 for this 21-and-older show. Hats off to the Otter Rock on the Embarcadero in Morro Bay! This popular restaurant-bar not only features a stunning view of the estuary and the rock, it also presents live local music every night! Fans of the Otter Rock will celebrate at a special holiday party on Sunday, Dec. 16, starting at 3 p.m. Lively music for your listening or dancing pleasure will be provided by the Central Coast's favorite dance band, the Mighty Croon Dogs, which features award-winning "Guitar Wizard" Billy Foppiano, the velvet tones of saxophonist Scott Wright, the pumping, can't-sit-still bass of Frankie Paredes, and tasty rhythms of drummer Jerome Taylor. ALL TOGETHER NOW! : Paul Osborne, the new choral director at SLO High, makes his community debut along with the high school and middle school choirs on Dec. 18 at the Performing Arts Center in SLO. # ballroom is the setting, and ticketholders also receive a 15 percent discount at the inn's steakhouse. The North County Chorus has expanded to 35 members, including Cuesta students and North County residents who love to sing. Conductor Cassandra Tarantino led the choir in a tour to two California missions and the University of San Francisco last spring, where they sang music composed in the missions. The proceeds were donated to the California Mission Foundation. Tickets for the holiday sing-along are $10, or $7 for students and seniors, available by calling 546-3195. San Luis Obispo High School is welcoming its new choral director, Paul Osborne, who makes his community debut at the holiday concert of the San Luis Obispo High School Choirs and the Laguna Middle School Choir. It's set for Tuesday, Dec. 18, at 7 p.m. at the Performing Arts Center on the Cal Poly campus. Nina Reinacher will conduct the Laguna Middle School Choir. The concert will also feature harpist Jennifer Sayre, performing selections from Benjamin Britten's A Ceremony of Carols and an Appalachian carol, "I Wonder as I Wander." Tickets are $10, available from the music departments at both schools, the PAC box office (756-2787), or at the door. More info at 596-4050, Ext. 2964. Save the date: Saturday, Dec. 23. That's the day for a four-band show at Mother's Tavern in downtown SLO, aimed at raising money for the poor and elderly in the community who can't afford their winter heating bill. The 3 p.m. show will feature the Cadillac Angels, the Ballistic Cats, Tres Gatos, and the Bangin' 58s. See you there! The place is heated, so at least we won't be paying to heat our homes during the show! New Times contributor Kathy Johnston hates to be cold. Warm her up at kjohnston@newtimesslo.com.